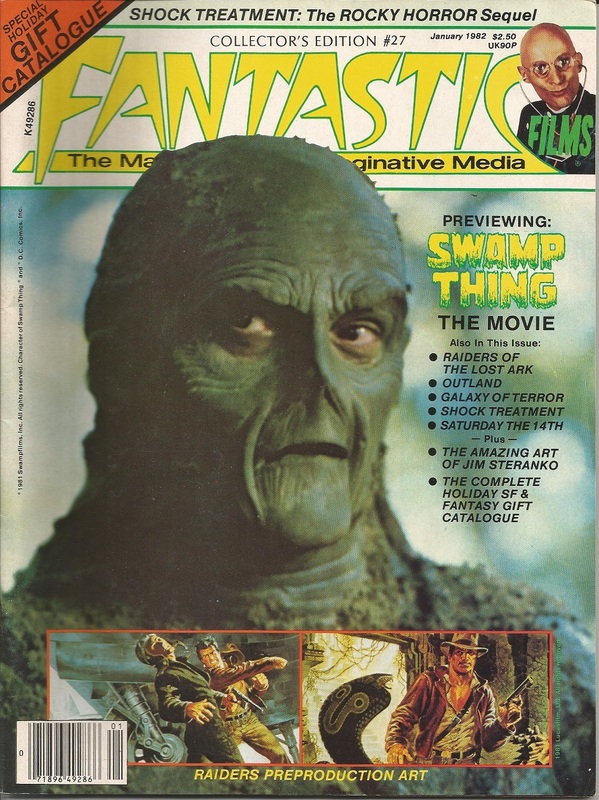 A lot of young people have been brought up in a negative atmosphere… We began when the hippie generation was sitting around, and I think Star Trek gave its members hope. 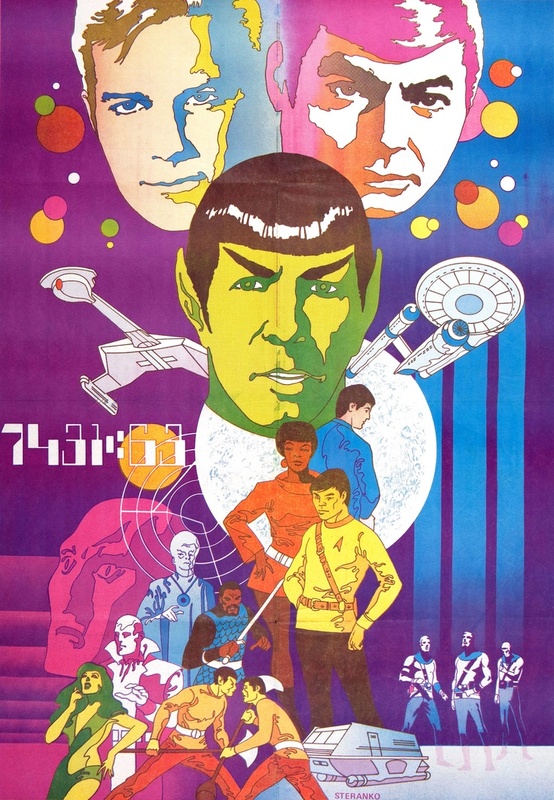 Star Trek premiered in 1966, the same year the Society for Creative Anachronism was founded and one year after publication of the first paperback edition of The Lord of the Rings. 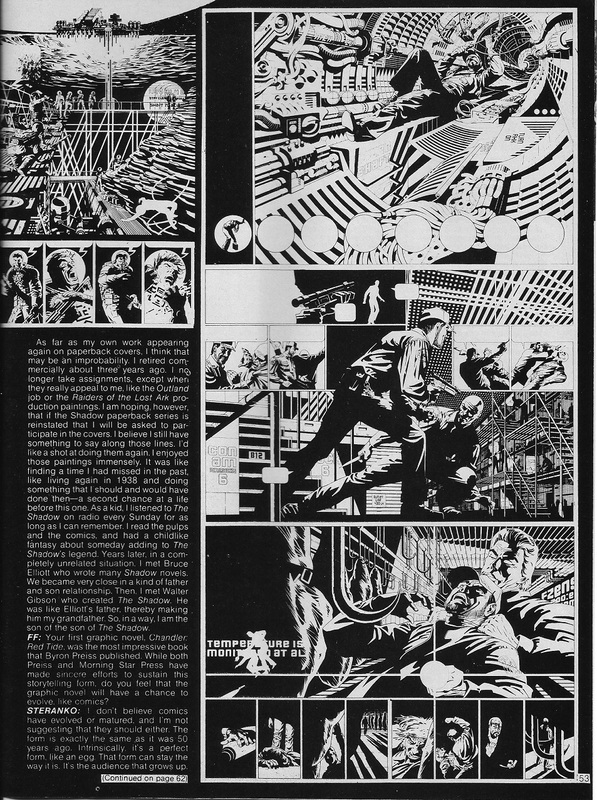 Jim Steranko’s penchant for the psychedelic is brilliantly evident in his earliest comics work. 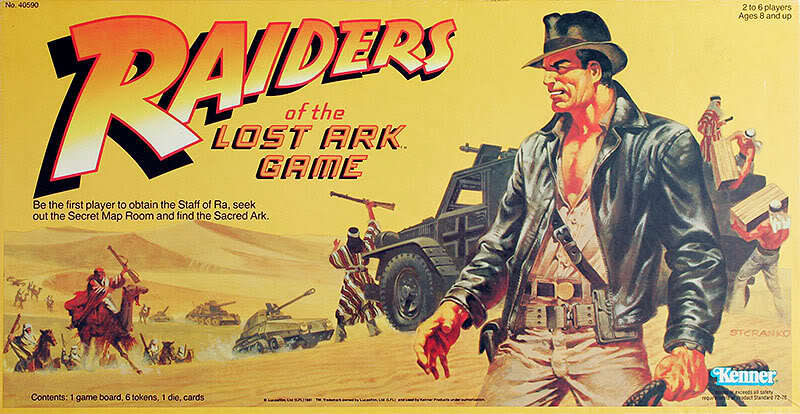 The definitive image appears on Kenner’s 1981 Raiders of the Lost Ark Game. 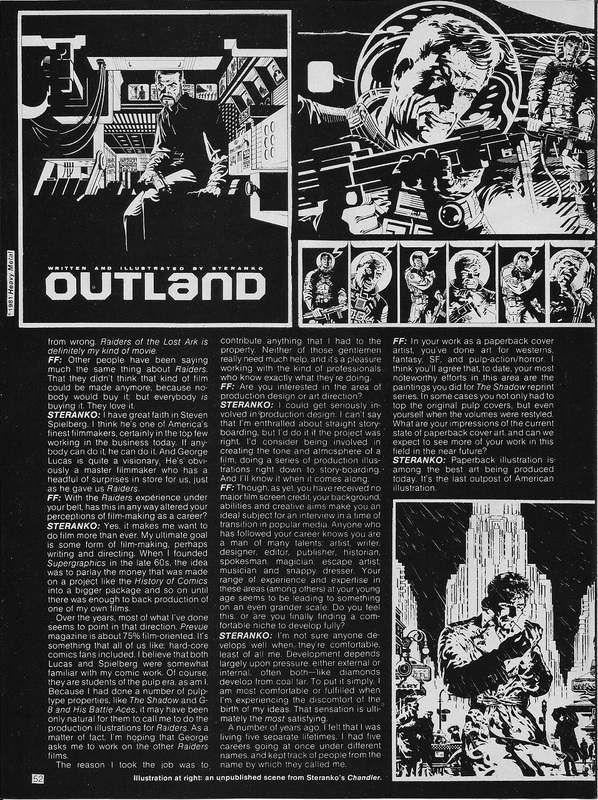 Steranko’s Outland adaptation was serialized in Heavy Metal from June, 1981 through January, 1982. 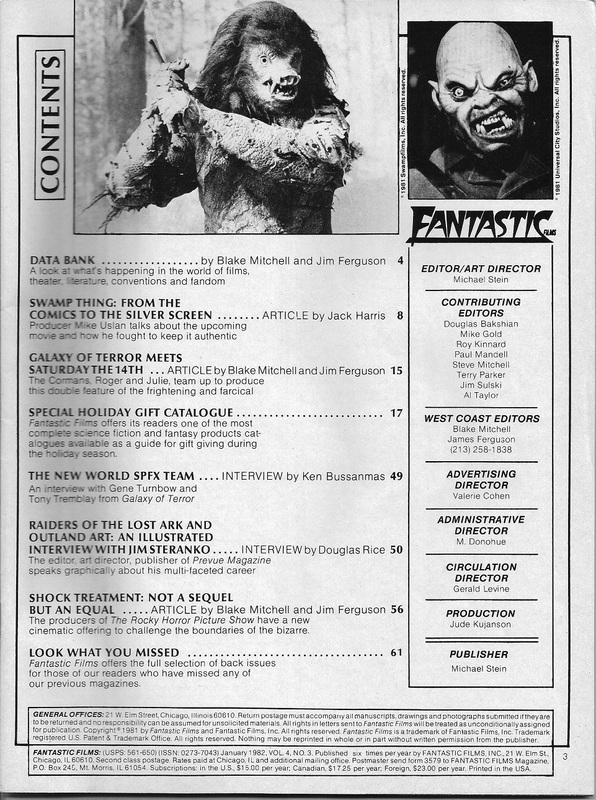 You can read the first few pages here. The movie it’s based on, written and directed by Peter Hyams (Capricorn One, 2010), is generally dismissed as a heavy-handed retelling of High Noon (1952). That’s a mistake. 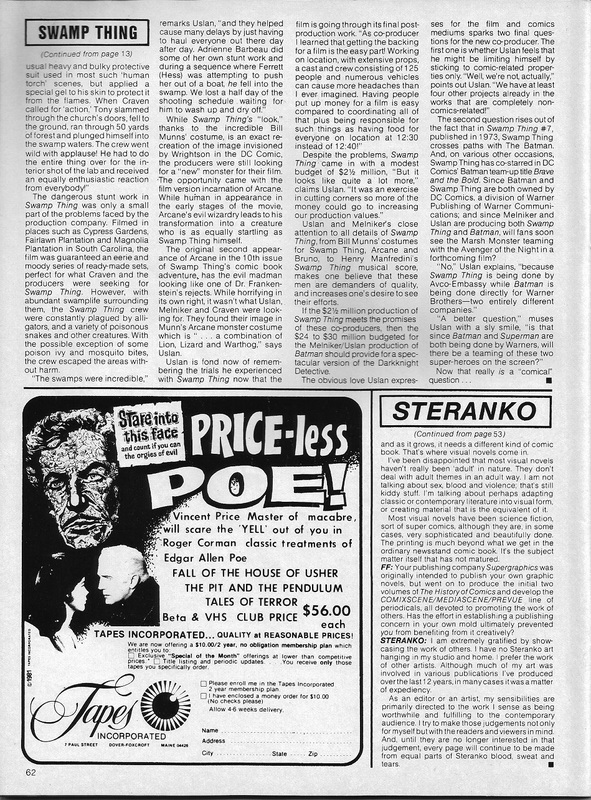 As Steranko says, “[Outland] struck me as being the first noir science fiction film, somewhat in the ‘Chandleresque’ vein.” The film also verges on cyberpunk, and it came out a year before Blade Runner. 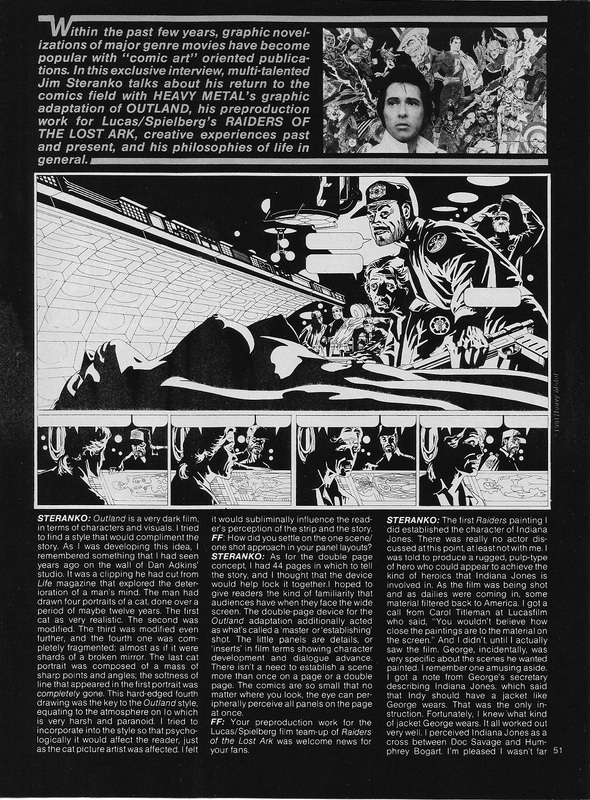 It’s fitting that Steranko, deeply influenced by the pulps, also did the cover for the Marvel Super Special Blade Runner cover.